Traveling is really stressful, especially if you have not chosen the best transportation service. This is obviously true if you are planning for a Melbourne trip. With a little bit of research and consideration, you will be able to choose the right kind of transportation to explore Melbourne. One of the best ways to travel around Melbourne and indulge in its scenic beauty is to opt for car rental services. However, there are so many companies claiming to offer car rentals in Melbourne. Not all of them are reliable and will not provide services as they promised. 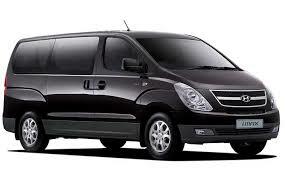 We have come up with some tips that let you choose the best car hire service in Melbourne. Most of the car hire companies offer vehicles in various classifications such as compact, subcompact, sports car and mini cars to mid size SUVs. With numerous options available, you can choose car hire Melbourne based on your budget. Of course, in order to get car hire for the best prices, you need to book the car well in advance. While booking a car for your Melbourne trip, make sure that you have chosen a vehicle that is one or two sizes larger than what you really want. You can use the extra space to place your luggage, which in turn helps you to travel comfortably throughout the trip. As the large cars tend to consume more fuel, it is always better to hire compact or mid size vehicles. Moreover, the rent of high end models will also be extremely higher and you may end up with a big hole in your pocket on hiring large cars. AUZ Rental Cars is one of the leading car rental companies in Melbourne. We have a wide range of vehicles that you can choose from based on your requirement. You can enjoy great deals and discounts, especially if you book a car with us for a long period. So, start your booking today and enjoy the best deal from AUZ Rental Cars!